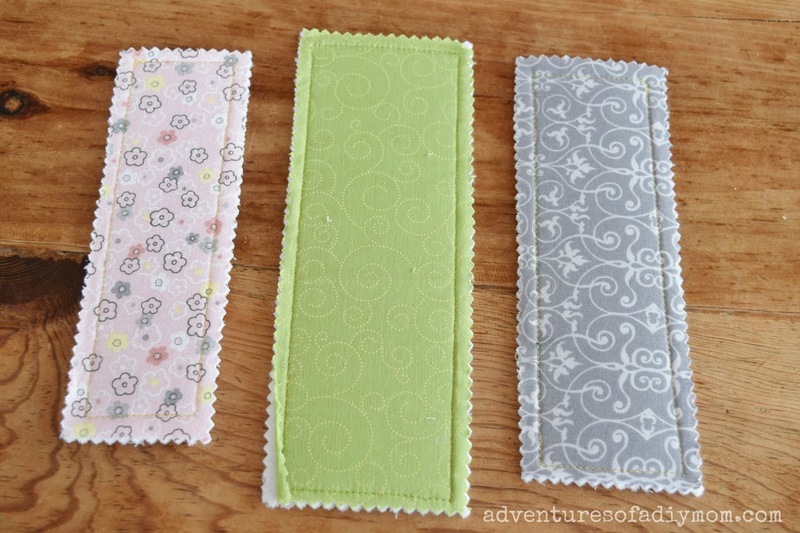 My youngest daughter embroidered these fabric bookmarks for her siblings for Christmas this year. She's only five. I am super impressed with her attention to detail and the fact that she stuck with it until they were done. I helped her knot the thread and tie it off, but she did all of the embroidery herself. We started at the beginning of November and pulled them out every few days and she would do a little bit or a lot depending on her mood. I think one of the reasons that this was enjoyable for her was that I tried not to rush her. We started in plenty of time and I let her quit when she was tired of doing it. 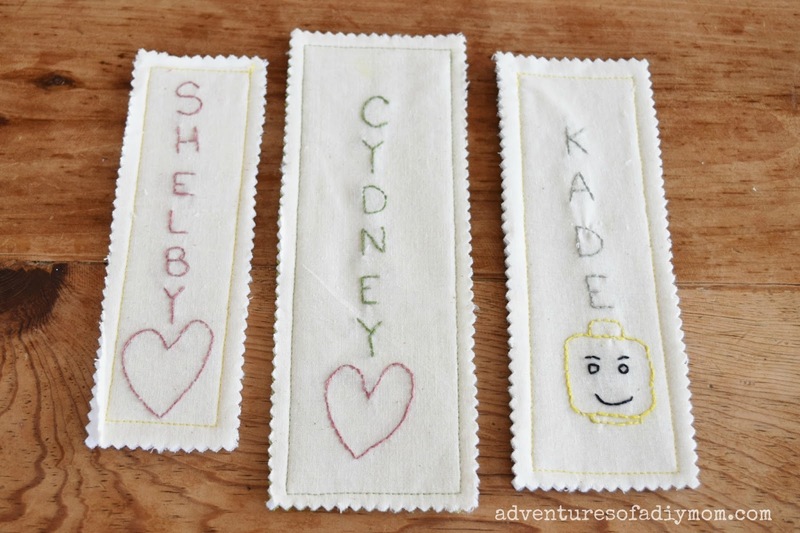 Want to help your kids make Fabric Embroidered Bookmarks? 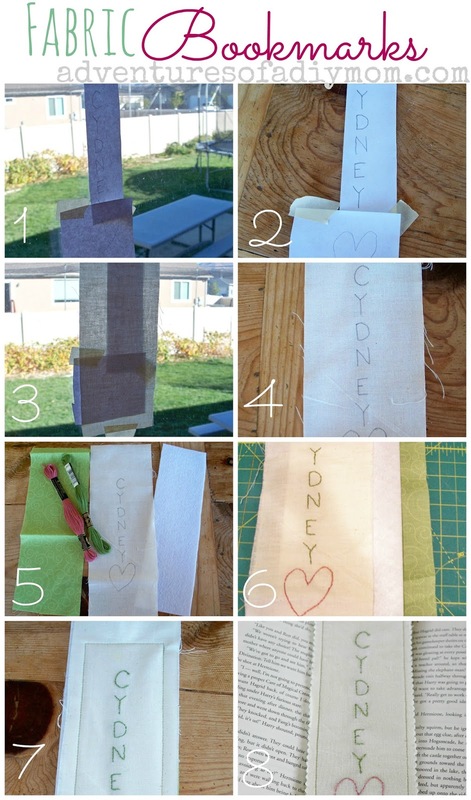 Cut all three of the above to 3 1/2" X 10"
1&2 - Write the letters of the name on a strip of paper. I had my daughter draw the hearts so that's why they are on a different piece of paper. You could totally do it all on one paper. Then tape the paper to the window. 3 - Tape a piece of muslin to the window centering it over the letters. Then trace over the letters with a pencil. 4 - This is how it should look now. 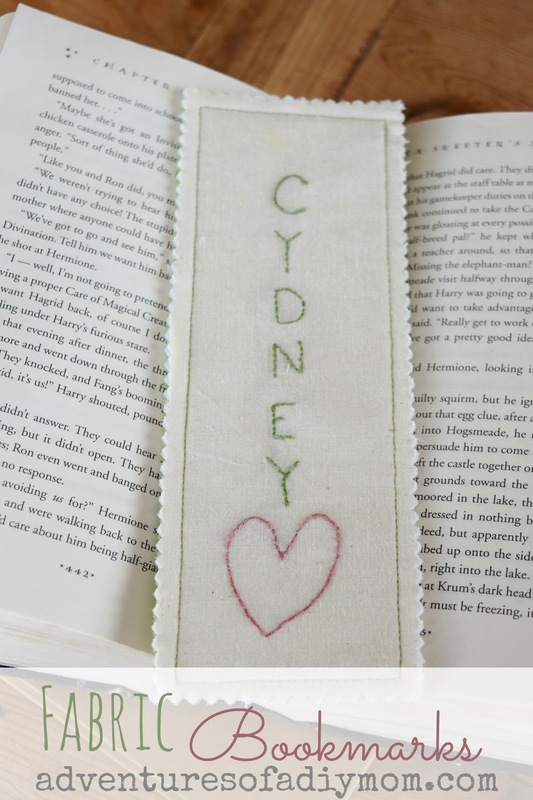 5 - Gather your embroidery thread and do a back stitch over the letters and heart. 6 - Once you're done press your fabric and then layer it with the embroidery on top face up, the pelton in the middle and your printed fabric on the bottom face down. 7 - With coordinating thread stitch in a rectangle around the embroidery. Here's a picture of them all together. 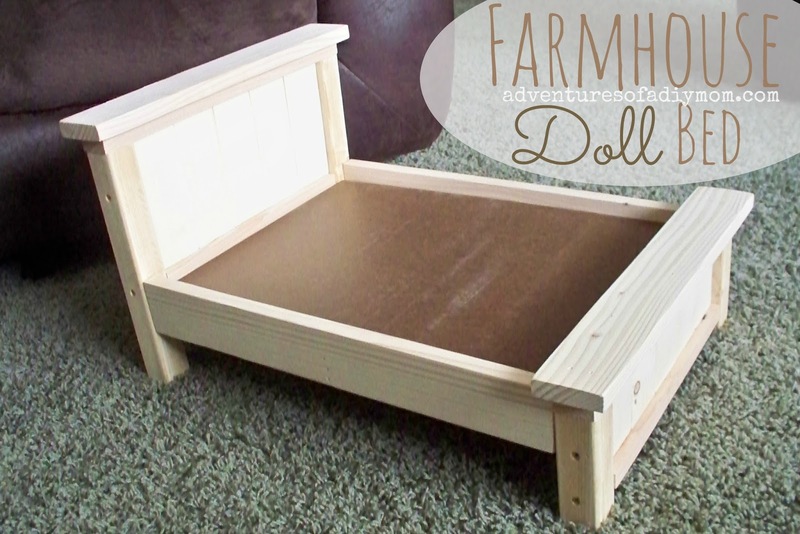 She wants to make one for herself too, but we haven't quite had time to finish it yet. 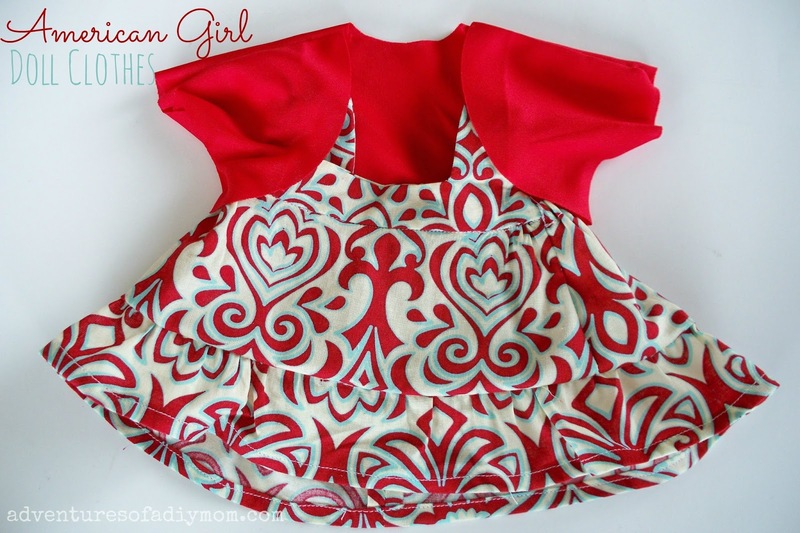 And the back - we went through the scraps and she picked out fabric she thought they would like. 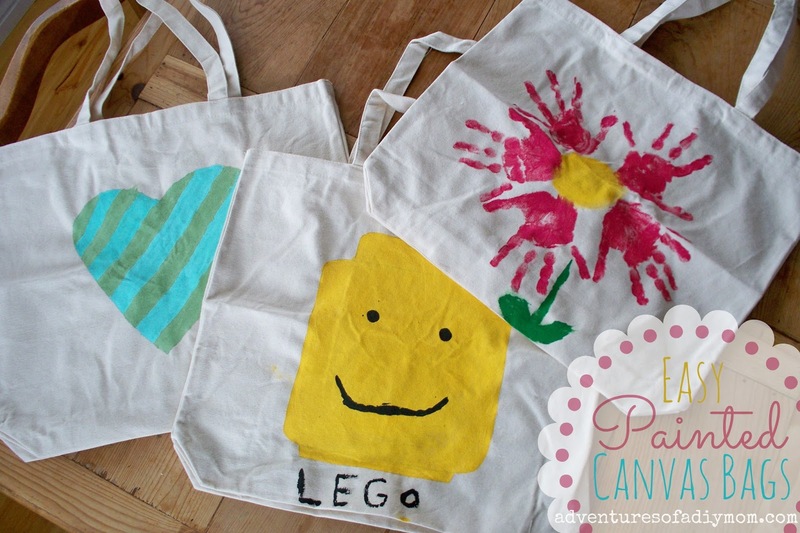 Have your children done any embroidery? Do they like it?